Have you ever been reading something and all of a sudden you realize that you have absolutely no idea what you just read? You end up reading the same page over and over again because your mind drifts off, and you completely miss whatever happened in the reading. I hate when that happens, but it does and sometimes even in the most interesting of books. Before you were even born, God wrote out the chapters of your life. You are the main character, and no one else can play the part. Each word, each sentence, each paragraph, each chapter of the entire book that is your life was carefully written for you and with your purpose in mind. Specific people and situations are introduced at the perfect time, in the perfect chapter, and in the perfect paragraph. It gives you the tools you need in order to live out your destiny, and you gain these tools at the appropriate points in your life. However, sometimes you may get stuck on the same page for a long while whether it’s because you’re daydreaming about something else, or maybe you’ve enjoyed the page so much that you keep wanting to re-read (or re-live) it over and again. Whether the page you’re on is full of darkness or one you feel is just too good to leave, it’s keeping you from moving on to the things God planned to happen for you. His timing is perfect, so turn that page and don’t stay on it for too long! If you’re at a place that you think is too good to leave behind, don’t you know that what’s ahead is even better! Maybe you know that one of the characters is about to be written out of the book, and you aren’t ready to see them leave. If that’s the case then understand God has his reasons for removing that character and at that particular time. Maybe he knows that if the character stays in the book any longer, it will somehow be detrimental to you, the main character. You might be tempted to write this person back into the upcoming pages, but please recognize God’s perspective is so much greater than yours, and he doesn’t want you to be harmed in any way. He sees to the end of the book where you only see what’s on the page in front of you. Trust that he has your best interest at heart. Maybe you are simply daydreaming and keep having to read the page again because you aren’t sure what it’s about. Maybe you fear what’s ahead because where you are is comfortable. Whatever the reason you have for staying on the page you’re on in your life; understand that it’s vital you keep reading. 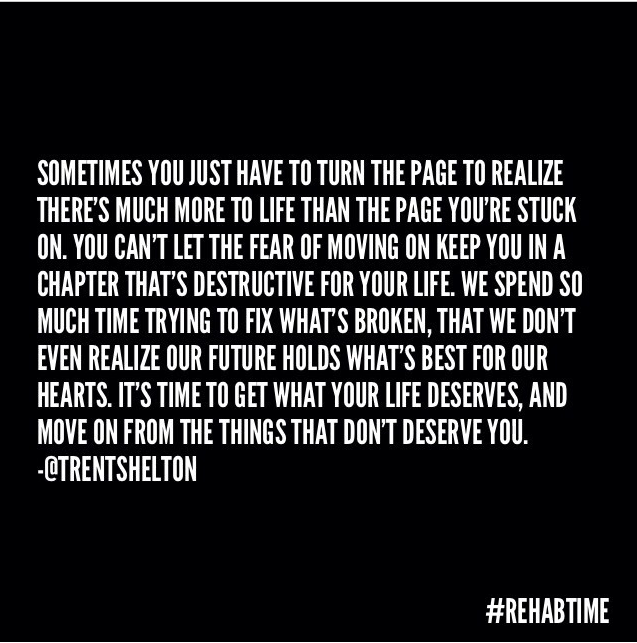 Just Turn That Page. Don’t be afraid to move on to the next chapter. There may be bumps along the way, but what’s ahead is much better than what’s written in the current page. For me, today’s focus is about letting go and moving on; it’s about turning the page. I think I’ve been on the same page for too long now, and I need to read ahead. I’ve known for a while that I was hanging on to the words of one chapter when I should have been turning to the next one. I’ve tried to read ahead, but fear and a sense of comfort always brought me back to the pages I know. Don’t let fear keep you from turning the page. Your life is meant to be full and constantly moving. Let’s set a goal to not let the fear of what’s ahead hold us back from all of the amazing things God has laid out for us. Let’s decide right here and now that we will turn our pages today! Thank you. Honestly, most of the time I am talking to myself but I know others are going through the same thing.